Duration – 1 - 2 hours. The Peter and Paul Fortress is the place where the history of St. Petersburg started. 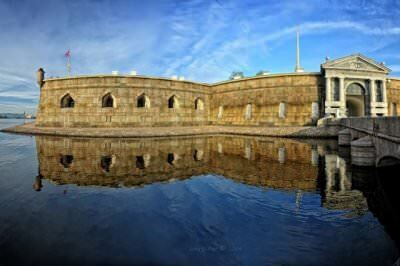 The day the fortress was founded – 27 May 1703 – is considered to be the city's birthday. 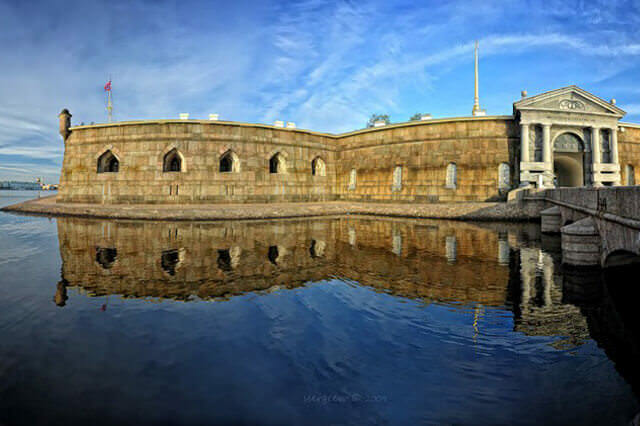 It is a one of the country's strongest fortifications built according to the best West European examples of the early 18th century and an open-air museum where the earliest structures in the city are located. 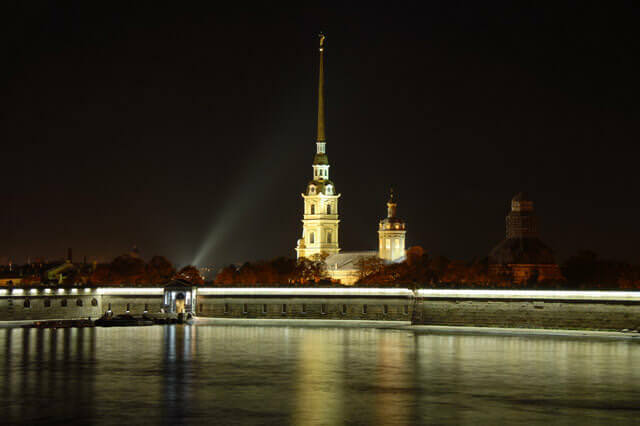 The main landmark of the fortress is the Peter and Paul Cathedral, built in 1712 – 1733 to become the burial place of the Russian Imperial Romanov Family. It is the place where Peter the Great and his successors, including the last Russian emperor Nicholas II, are buried. 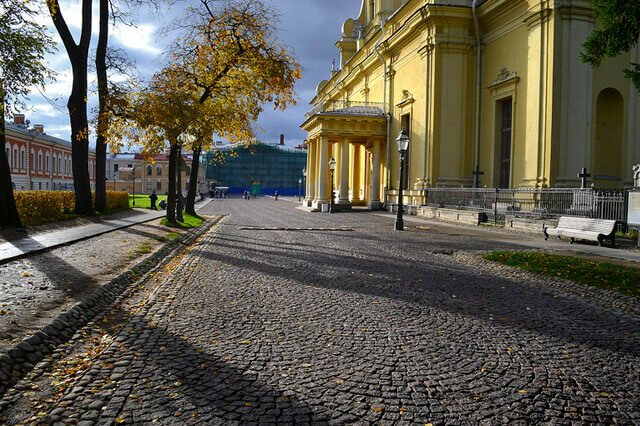 Despite the revolutionary upheavals, the royal graves have remained unplundered and undisturbed. The cathedral features a unique wooden gilded iconostasis, one of the largest in Russia, which has remained almost unchanged from the early XVIII century. 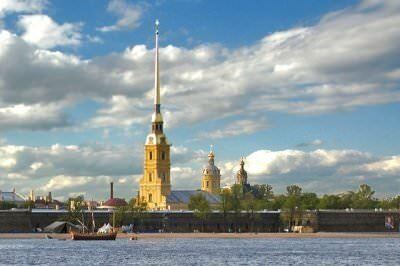 The angel on the top of the cathedral's spire is one of the most important symbols of St. Petersburg. The Peter and Paul Fortress was used as the main political prison of the Russian Empire from the moment of its foundation. 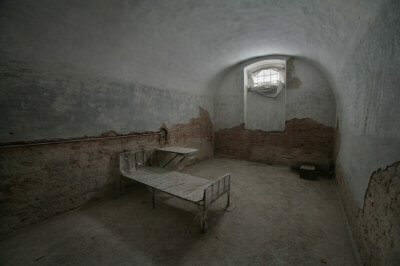 Among its prisoners were famous revolutionaries, writers, politicians, such as Peter the Great's son Prince Alexis, Feodor Dostoevsky, Alexander Ulyanov (Vladimir Lenin's brother), Leon Trotsky and many others. 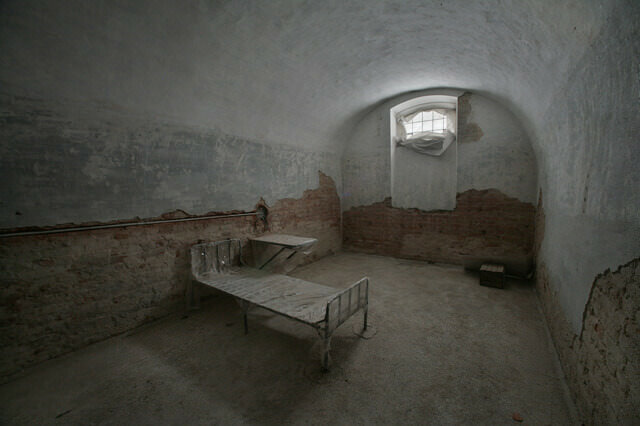 The Prison of the Trubetskoy Bastion will show you the conditions the prisoners were held. 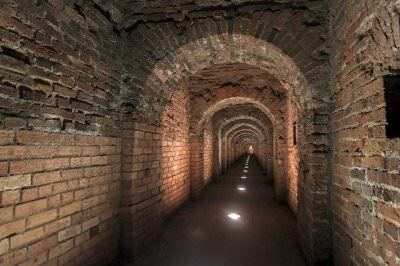 No one had a chance to escape it because of a special system of surveillance. Every day at 12 o'clock a cannon fires a blank shot from the walls of the fortress, reminding us of Peter the Great's times. Peter and Paul Fortress has become a place for different events, concerts and festivals, its casemates and historical buildings are now used for exhibitions. 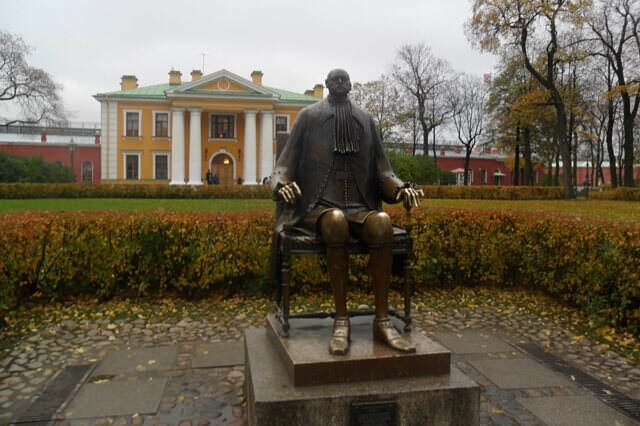 If you are planning to visit St. Petersburg, this is where you should start to explore the city. If you don’t want to get to the fortress yourself, you can order our car to go to the museum. 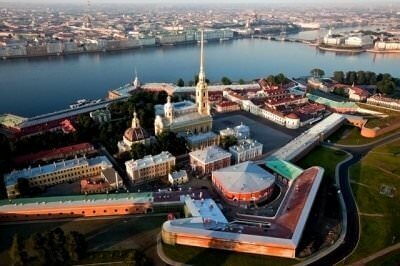 We providing private guided tours to the Peter and Paul Fortress in English, German and other languages.